This summer I have been on a quest to grow delicious greens during the hot months. I have had success with a dozen varieties of greens that can be eaten both raw and cooked. We have eaten these greens as gourmet mixed salads, in stir fries, in green smoothies, layered in lasagna, sauteed as a side dish, chopped fine to top on tacos or omelettes, etc. I harvest all of these greens leaf by leaf, in a cut-and-come-again style, so they can continue to grow and produce for me. In this manner, I have harvested one to two large bowlfuls of greens every day, which we use for two to three meals every day. 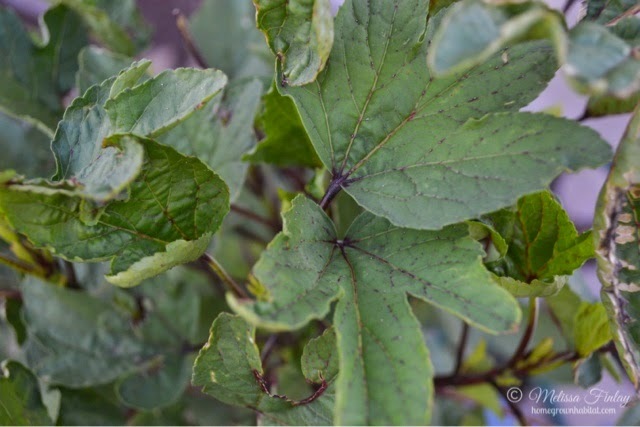 Red Thai Hibiscus: lemony, grape-leaf-like flavor, good mixed with other greens, good for sautéing, yummy as part of the greens in a smoothie, flowers in late summer followed by red calyxes which can be harvested for a delicious red tea/drink. Annual. 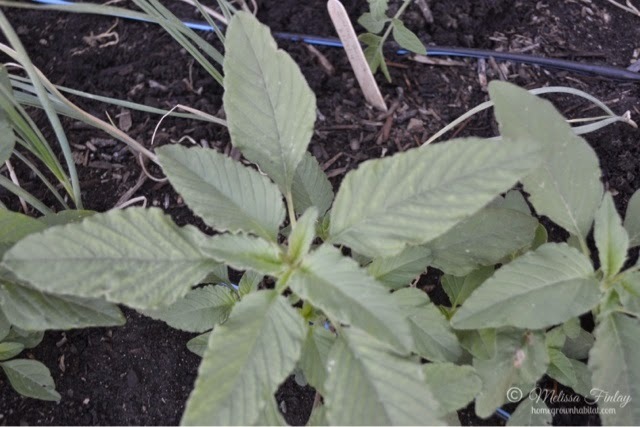 Amaranth: this is the same plant that amaranth seeds come from, the leaves are edible too, younger leaves for raw eating, bland flavor so best mixed with other greens, older leaves better cooked (a common weed: redroot pigweed is an amaranth plant, and is completely edible as long as not sprayed with yard chemicals) Annual. Reseeds. 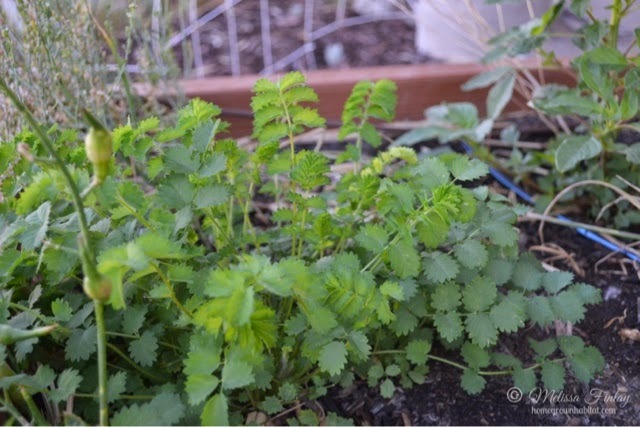 Salad Burnet: this green is pretty enough to be in a flower bed, it has a delicate cucumber like flavor, with small frilly leaves in pairs on a stem, red flower stalks. Perennial. Reseeds. Swiss Chard: grows spring through fall, pick as cut and come again, great from fresh eating with a surprising light, salty flavor fresh; cooked it is closer to a spinach flavor. Leaves and stalks are edible. 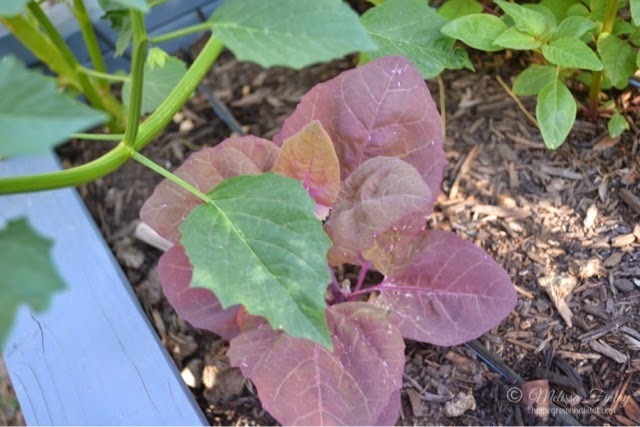 Orach: also known as mountain spinach, comes in several shades of red, magenta; tastes very spinachy, but is also very ornamental and could grow in a flower bed. Annual. Reseeds. Strawberry Spinach: a small plant with triangular, toothy leaves; good, simple flavor; would work well as a flower garden filler or edger plant; later in the summer, red berries form which are also edible and are said to have a mild raspberry-strawberry flavor. Annual. Reseeds. 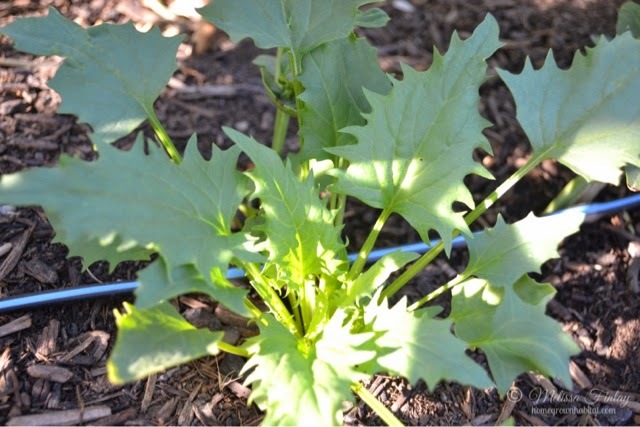 Lamb’s Quarters: another weed here in Utah that is completely edible provided it has not been sprayed with chemicals. Sorrel: strong lemony flavor, fresh best used in moderation as an accent flavor; can be cooked in soups, stir fries. 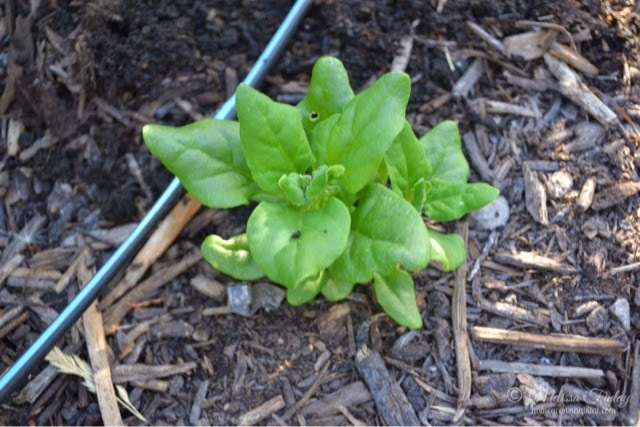 New Zealand Spinach or Cook’s Cabbage: slightly succulent, firm leaves. Strong spinachy flavor. Annual. This entry was posted in Garden Method.